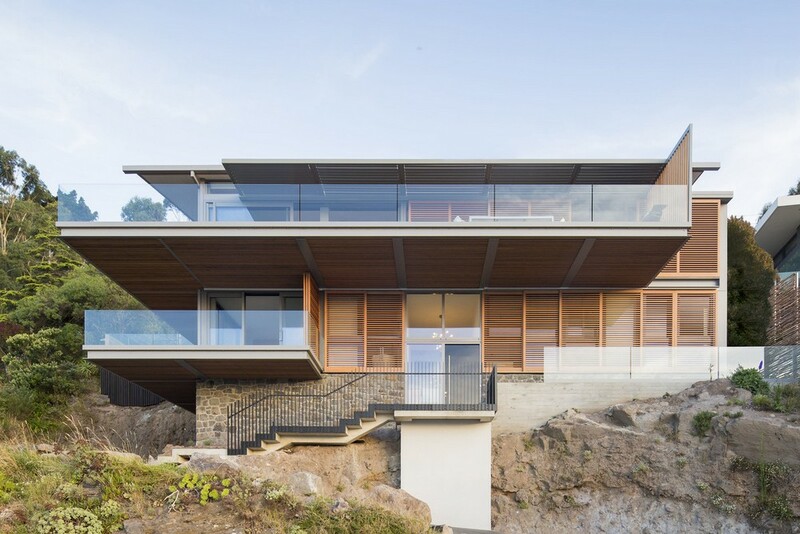 A rock-face / hillside home resulting from a brief that required a relaxed playful home open to the sun, with good views to the beach and uphill park, environmentally conscious design, providing shelter from the prevailing winds and incorporating easy driveway access and parking. Located in a new subdivision less than an hour from Auckland this new house was one of the first built on a flat site that has been split up to create well sized semi-suburban semi-coastal sections on what was once pastoral land. This new house located adjacent to a conservation area of well-established native bush, endeavours to make the most of its dramatic siting. It is organised around two central axis, one to the Korokoro Gorge and the other to the Cook Straits. This residence is located on a narrow site in the heart of Herne Bay. 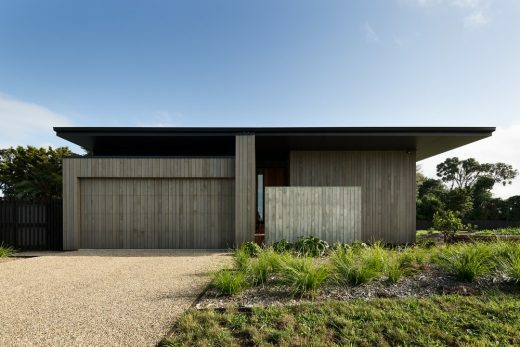 The entry space is protected by a vertical cedar screen. Interior spaces use hoop pine cabinetry and externally materials include fine vertical cedar shiplap and double skin bagged brick. The design and materials aim to reflect the clients’ love of fifties and sixties architecture. This NZ Bach is a continuation of an exploration into a model of building that is dedicated to a specific function that of summer holidays at the beach. 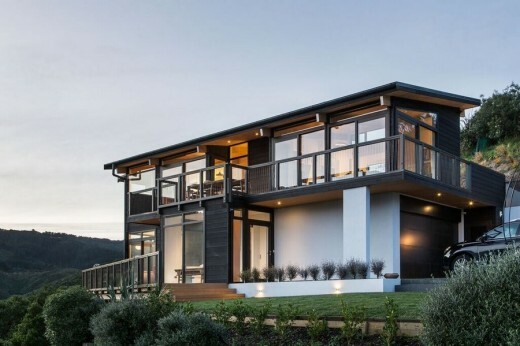 We’ve selected what we feel are the key examples of New Zealand Homes. We aim to include NZ residential projects that are either of top quality or interesting, or ideally both. Most projects are contemporary in style. Homes don’t need to be completed for inclusion – proposals welcome.